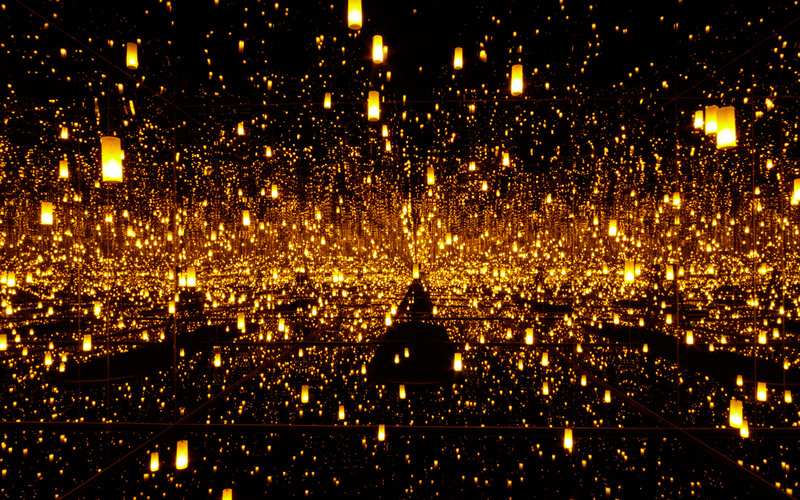 Yayoi Kusama's ‘Infinity Mirrors’ Exhibit to Tour the U.S. The retrospective will open in Washington, D.C., in February. A renowned Japanese artist is about to get an American tour. 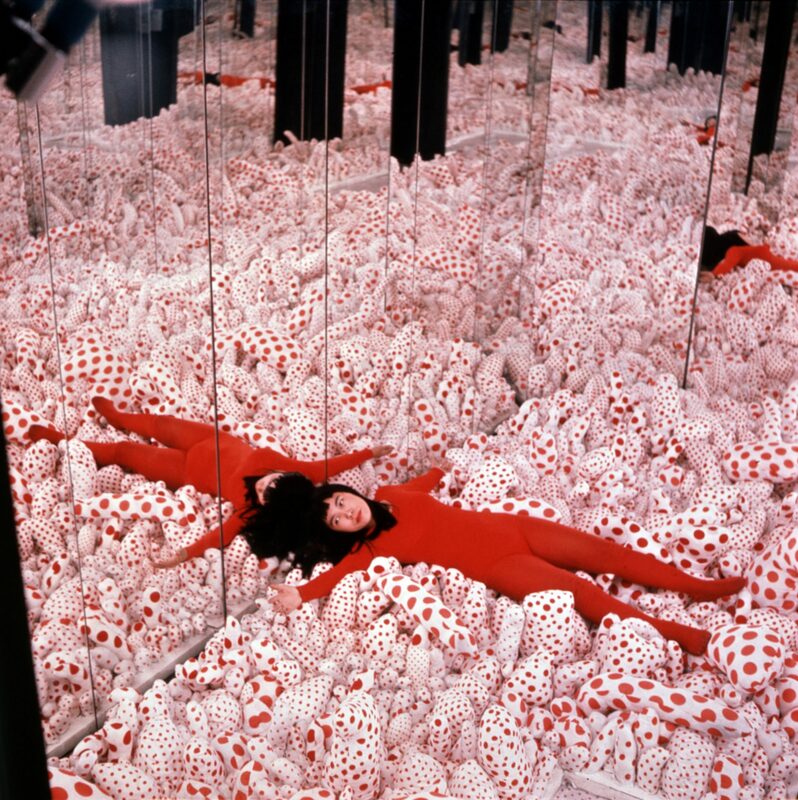 Known for using a vibrant color palette, 87-year-old Yayoi Kusama is most famous for her “Infinity Mirrors,” which are kaleidoscopic wonders reminiscent of celestial galaxies. 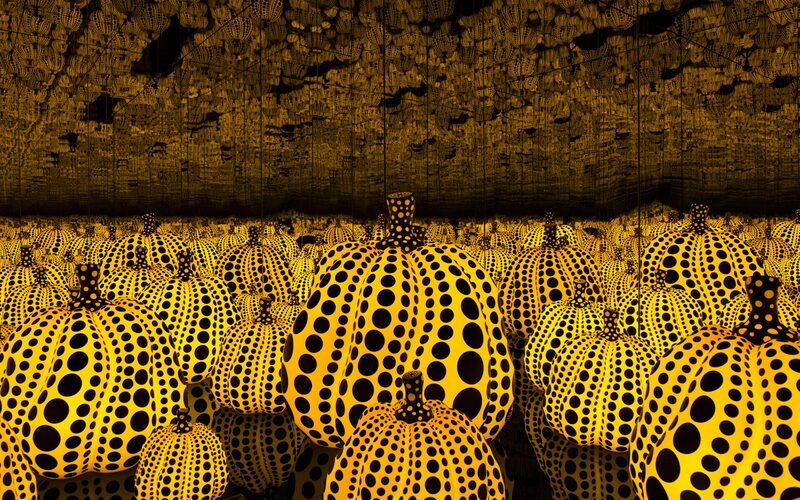 A retrospective organized by the Smithsonian's Hirshhorn Museum and Sculpture Garden will feature six of Kusama’s mirror rooms, as well as some of her whimsical installations, sculpture, and colorful large-scale paintings, many of which will be seen for the first time in the United States. The retrospective of the eccentric artist's 65-year career will be on display in Washington, D.C. from February 23 through May 14, 2017. 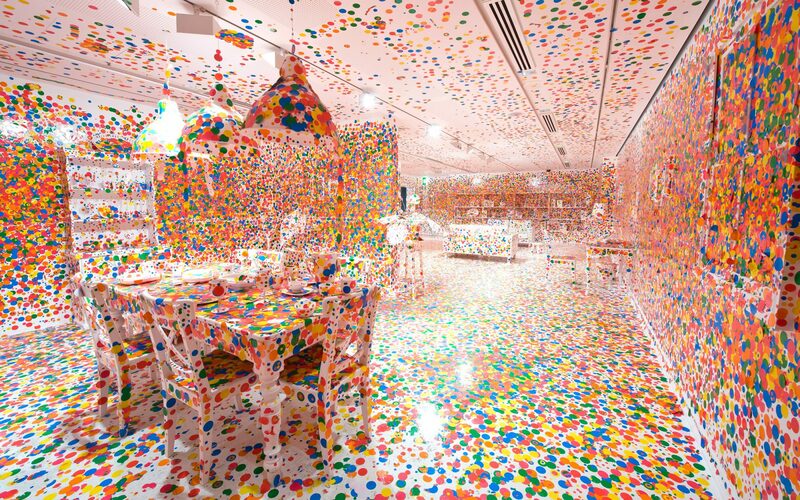 The mirror rooms are designed for a solo experience, which often results in long lines anytime a Kusama exhibit opens to the public. When "Infinity Mirrored Room—The Souls of Millions of Light Years Away" was shown at the David Zwirner Gallery in New York in 2013, many visitors took selfies in the mirrors and shared them on social media, resulting in blockbuster turnout that saw many people waiting in line all day, only to be turned away at closing. To keep lines moving at the Hirshhorn Museum, timed passes will be distributed to visitors for limited entry. Following the exhibit’s debut in Washington, D.C., it will travel to four major museums in the United States and Canada, including the Seattle Art Museum (June 30–Sept. 10, 2017), The Broad in Los Angeles (October 2017–January 2018), the Art Gallery of Ontario (March–May 2018), and the Cleveland Museum of Art (July–October 2018). The 19 museums of the Smithsonian Institution are some of the most visited attractions in the DC area. The museums are known for their collections of priceless artifacts, works of art, and items of historic and cultural significance. Among the most popular of the Smithsonian museums are the National Air and Space Museum, which houses The Spirit of St. Louis, and the National Museum of Natural History, home of the Hope Diamond. Admission is free to most of the museums, and they are open every day but Christmas Day.